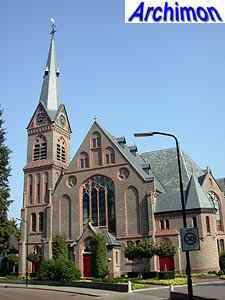 This church was built in 1898 for the gereformeerden, replacing a smaller church built in 1869. 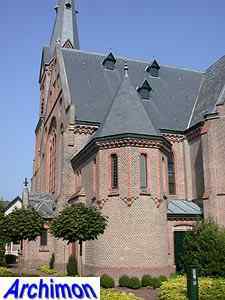 The new church was designed by J.A. 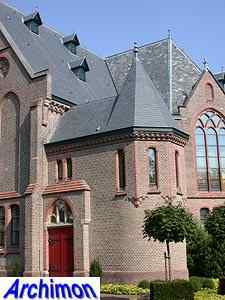 Wijn, a local architect who built houses in neo-Renaissance style mostly. 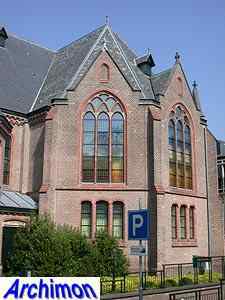 That same style was much preferred by various protestant denominations, the gereformeerden included. 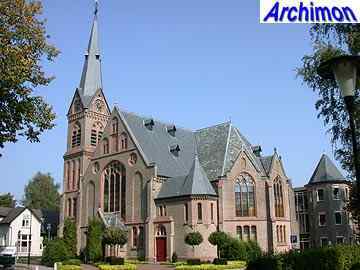 A church in neo-Gothic style is obviously unusual for both architect and denomination. 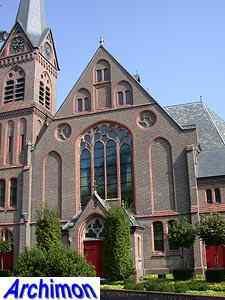 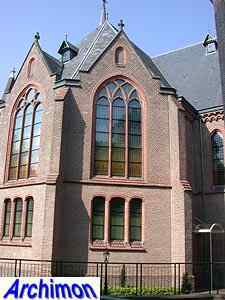 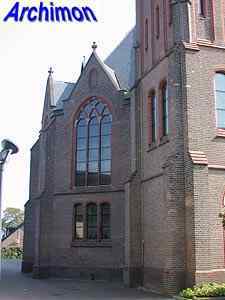 Even more unusual is the quality of the neo-Gothic style, which bears great similarity with that of the catholic architects of the Utrecht School like A. Tepe and J.W. 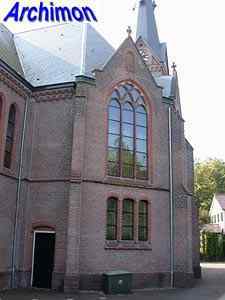 Boerbooms, the latter being the architect of the catholic Mariakerk built in the same period. 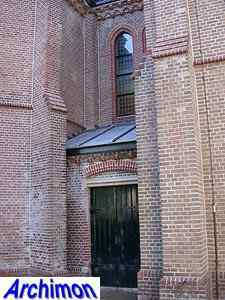 The facades of the two churches are even remarkably similar. 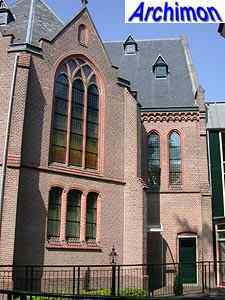 The gereformeerden chose the neo-Gothic style in response to the neo-Renaissance Grote Kerk of the reformed, built a few years earlier a bit more to the south. 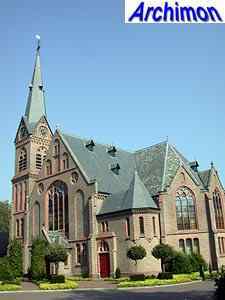 The shape of the church is typically protestant with its centralizing ground plan in the shape of a Greek cross. 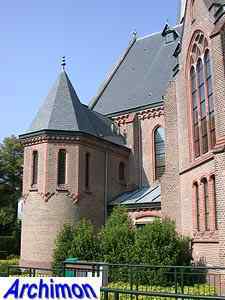 The church has a short, straight "choir" and big, polygonal "transept-arms". 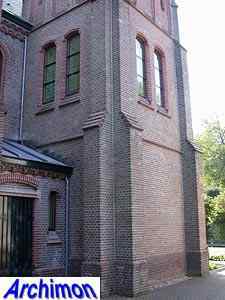 At the side of church is the tower, which is in a different style of neo-Gothic. 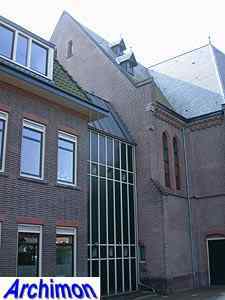 In recent years, the church was converted into an officebuilding.